Oh, how I adore this post, which will probably be erased soon because it's not actually advertising anything, and is thus contrary to Kijiji policy. But it's so sweet. 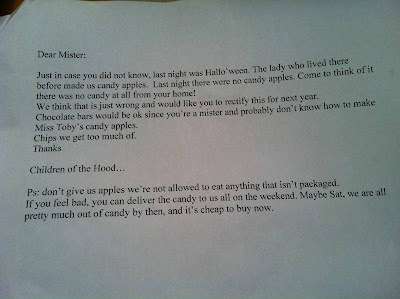 Thank you for leaving this note in my mailbox. You have gone ahead and reminded me of why I do not want children, and why I weep for the future. 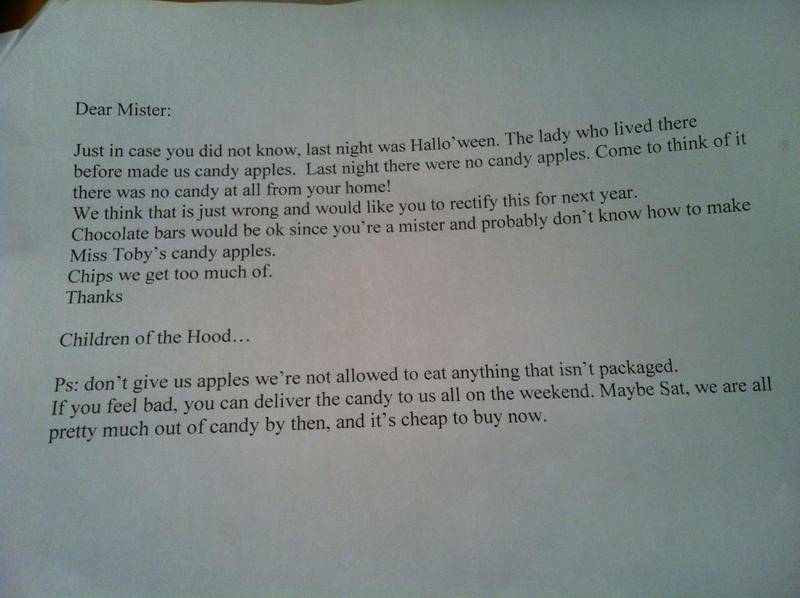 For your information, I was not home on Halloween, and therefore was not available to hand out candy. Also, I have gone out and bought a ridiculous amount of candy, and I intend to spend an entire day our on my deck Saturday, eating them all with my friends. I invite you to come over and enjoy watching us eat these, and possibly make yourself useful cleaning up the wrappers.